Evil is greater in numbers! Me and my daughters all dressed up as Disney Villians. I was the Evil Queen from Snow White, Miss Jack Skellington, Cruella Deville, and our not so scary little Miss Maleficient. 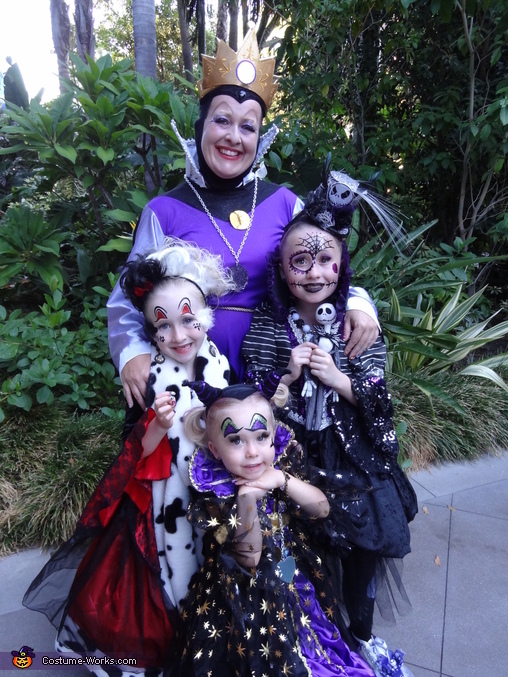 We trick or treated in Disneyland and had a ball!